We all aspire to be Superheroes. They save the world and amaze everyone around them. Sometimes being an engineer and designing a new product feels like being a Superhero. We engineers balance fit, form & function while choosing materials that will stand up to the environment—all while managing the project data, revisions, and timeline. It’s a LOT. 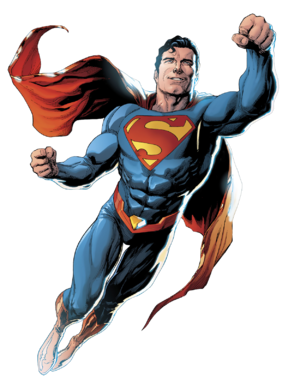 Every CAD tool has time-saving and productivity-enhancing tools, which helps to become a Superhero, but I’m “super” excited about xDesign for its Design Guidance. What is Design Guidance, you ask? It is a thinking-outside-the-box innovative idea where the user defines parameters about the strength they need their product to withstand, and the software automatically builds the model based on the strength it needs to have. Amazing, right? Traditionally, engineers design a model, then simulate the environment around that model to see how it reacts, and whether it will withstand the forces upon it. If the result is that the model will fail, the engineer will tweak a dimension or change the material and try again. Same thing if the product is overdesigned, and the engineer wants to reduce material. 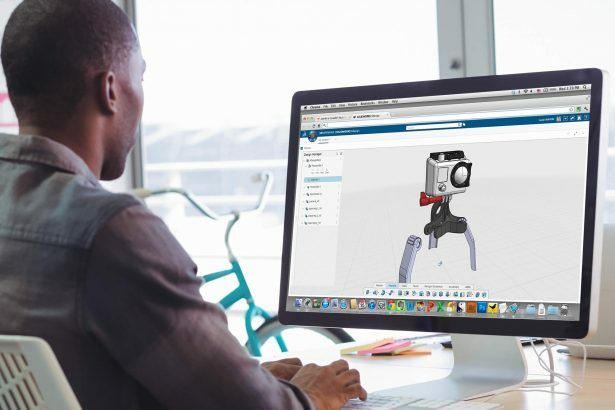 With SOLIDWORKS xDesign, the engineer has the freedom to look at things from the other side. Rather than making an educated guess at the design, and then testing it, they simply put the desired parameters into the software using Design Guidance, and let xDesign do the work for them! It’s like design optimization on steroids! A shape will emerge that will withstand the loading parameters that the engineer defines, and what could have taken several design iterations in traditional CAD/CAE tools is done in a fraction of the time and effort. Take a look at how easy Design Guidance is to use in the video below. This video was created by Eric Beatty, one of our longest customers, who has been using SOLIDWORKS since March 1996 as an educator at North Seattle Community College, where he founded SASPUG, the very first SOLIDWORKS user group. Eric is currently a Senior Mechanical Designer for Omax Corporation, a leading manufacturer of CNC abrasive waterjet machining centers, and has recently returned to the leadership role in SASPUG. He unabashedly describes himself as a “3D CAD/CAM nerd.” Later this year, I’ll be publishing another blog on Eric Beatty’s xDesign experiences. He was an xDesign challenge winner, and went to Milan Italy in April 2018! Congratulations Eric! The software is cloud-based, which means you can design on any device since you’re logging in via a browser, and you never have to worry about configuring or managing your installation. It stays up to date with the latest version automatically. No one enjoys managing data, it’s a high-burden, low-appreciative job. That’s another reason why xDesign is so attractive. Data management is built in. You can save, version, and share your designs as you see fit. There is also a “branch and merge” feature that enables you to merge your design with someone else’s design and retain both of your edits. No more “last to save wins” – you can both win! You can also link to Dropbox and Google Drive… very handy. Here’s where things get interesting. More and more engineers graduate from colleges around the world every year – people love to design great products. What would happen if you could effectively team up with others to brainstorm and create an EVEN BETTER product? No I’m not talking about lengthy weekly meetings in a bored-room, err, I mean boardroom. I’m talking about really and truly working together. You can work with internal team members, or external contributors, through secure and safe communities, have complete control over file access and sharing, lightweight visualization, and product review. Mass reduction is an automated way to make your model lighter, and hence less expensive. Yes, xDesign will help you to reduce your project budget! As with Design Guidance, you set the parameters, and xDesign will automatically analyze at your model and look for places that can be reduced without affecting the integrity of your design. It will still have enough strength for the job it’s designed for, but it will be lighter. This means less material is required, and also when it comes time to ship the product to the customer, the shipping charges will be less. We all need to manage our time. I’m notorious for procrastinating and leaving a project until the last minute, then stress about getting it done on time. What if we had a tool that could help us plan our time better? Say no more. xDesign gives you the flexibility to create collaborative tasks, and assign and link those tasks to the models you’re working on. You can manage the tasks and monitor the progress with a handy dashboard to see where your project stands in real time. 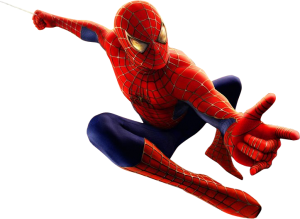 So if you want to become a Superhero (and frankly who doesn’t), then look into SOLIDWORKS xDesign. Design your products faster and automatically using Design Guidance! Check out xDesign HERE to see how you can improve your engineering and design experience, and become a Superhero! For more information about xDesign and how it can help you and your team, please contact your Value-Added Reseller.